The Journal Citation Reports, first published in 1975, is an annual compendium of citation data that provides a systematic and objective means to assess influence and impact at the journal and category levels. It contains reports on citation performance for science and social science journals and the relationships between citing and cited journals. To receive a Journal Impact Factor a journal must be covered in the Science Citation Index Expanded or Social Sciences Citation Index of the Web of Science. Only journals covered in these citation indexes are eligible to appear in Journal Citation Reports (JCR) and receive a Journal Impact Factor (JIF). How is the JCR used? 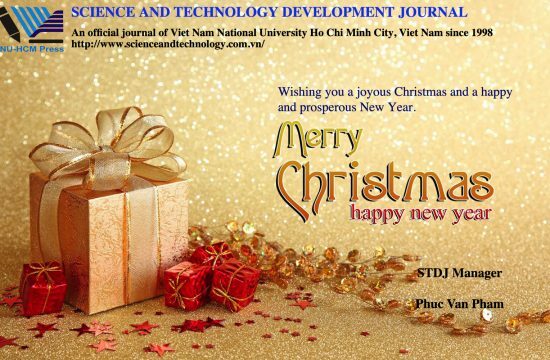 to aid in selection of additional journals for the newly created Science Citation Index. Today librarians continue to use the JCR as a tool in building and managing their journal collections. Publishers use the JCR to gauge journal performance and assess their competitors. The JIF is defined as citations to the journal in the JCR year to items published in the previous two years, divided by the total number of scholarly items, also known as citable items, (these comprise articles and reviews) published in the journal in the previous two years. The numerator of the JIF consists of any citation to the journal as defined by the title of the journal, irrespective of what item in the journal might be cited. Each cited reference in a scholarly publication is an acknowledgement of influence. JCR therefore aggregates all citations to a given journal in the numerator regardless of cited document type. The citations that comprise the JIF numerator are drawn from the journal and proceedings indexes in Web of Science Core Collection (Science Citation Index Expanded, Social Sciences Citation Index, Arts & Humanities Citation Index, Emerging Sources Citation Index, and both the Science and Social Science and Humanities editions of the Conference Proceedings Citation Index). Citations from the Book Citation Index do not contribute toward JCR metrics. Citable items in JCR are defined as all materials indexed in Web of Science as articles and reviews papers. Items with any other document type, including editorial material, letter, and meeting abstract, are not included in the denominator of the JIF. No single feature defines a “citable” item – but consideration of all of these, across many examples of the items in each section results in a strongly consistent association between items identified as “citable” (articles and reviews) and items whose citations create the JIF. 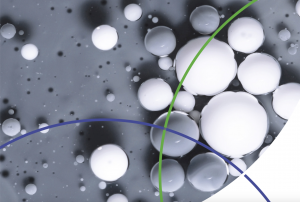 A key difference between Web of Science and JCR is that Web of Science is continually updated, while the JCR data represents a snapshot from a specific time, namely, the date when the data were extracted for analysis. This difference reflects the essential nature of each product. • Web of Science is avital and evolving record of the dynamic world of scholarly communication. New source material is added continually and new citations to older records are continually included and indexed. • JCR, on the other hand, is are port on the citation impact of a defined set of journals at a given moment in time. 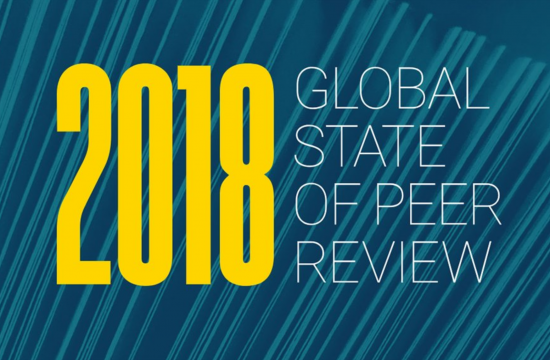 As a result, JCR provides insight into the citation performance of each journal in a given year measuring impact and influence in general as well as citation impact in the well-defined context of each journal’s subject category. Therefore, attempts to use Web of Science data to replicate JCR metrics are not appropriate and will lead to results that may vary from those reported in JCR. The JCR also differs from Web of Science in the following sense: If one piece of citation-related data changes in a Web of Science article, only that one article and those to which it connects directly are affected. More citations may link to that article, but those citations were not linked anywhere else previously. If citation-related data changes for one journal in the JCR, all journals might be affected. For example, if the item count changes for one journal, not only does that change the JIF for that journal, but also the median and aggregate Impact Factors for any/all categories in which the journal appears. It will also affect the rank in category for many or even all the journals in a category. 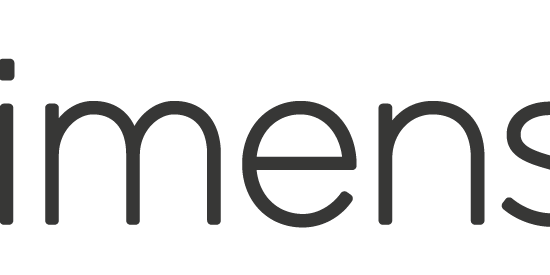 Finally, the Article Influence® metric for each journal is based on item counts for every journal. Changing one journal’s JIF denominator would require re-calculation of the Article Influence score for every journal in both editions. JCR is a network of interconnected data, and if one piece of data changes, it changes the overall network’s structure and morphology, sometimes drastically. It is for the aforementioned reasons that the JCR is reloaded only once per year, with all data updates occurring simultaneously. There is a defined series of events that occur when a journal changes its title for the JCR production. The following scenario applies to a journal that releases with a new title in the year 2016. Editorial Development evaluates all new titles for continuing coverage. Assuming the new title is selected, the following happens across the years 2015-2019. In 2015, Journal A publishes its last issue. The first issue in 2016 is newly titled Journal B. When the year 2015 JCR is published in June of 2016, only Journal A will be listed (since there were neither articles nor citations for Journal B in the year before its release). It will show all JCR data: Total Citations, JIF, Immediacy Index, source item counts, cited and citing journal data, and cited and citing half-life calculations. When the year 2016 JCR is published, in June of 2017, Journal A will have a listing containing Total Citations and an Impact Factor based on citations in 2016 to content in 2015 and 2014. It will also have cited journal data and a cited half-life, but no other metrics are applicable. 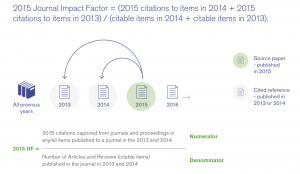 Journal B will have a listing containing Total Citations, Immediacy Index (based on citations in 2016 to articles published in 2016), and source item counts. It will have citing journal data and a citing half-life. 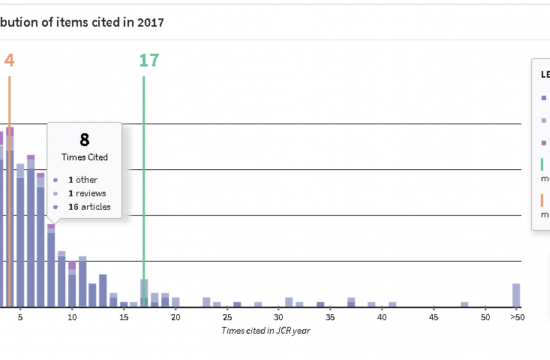 When the year 2017 JCR is published in June of 2018, Journal A will be listed with Total Citations and an JIF (based on Citations in 2017 to articles published in 2015 only). It will also have cited journal data and a cited half-life, but no other metrics. 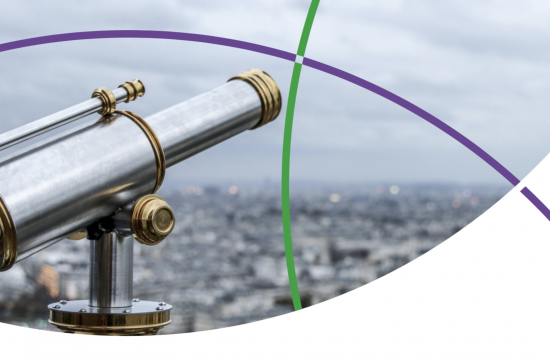 Journal B will have a listing containing all citation data and metrics – however, the JIF will be based on citations in 2017 to items published in 2016 only. The JIF for Journal A in 2015 would be deceptively high, since it is based on a section of the citation time-course that is higher, or even peaked. The JIF for Journal B, on the other hand, will be deceptively low, since it is based on citations to quite recent articles, before most journals and subjects have fully developed citations. It is fairly simple math to combine the two JIF to gauge the overall performance of the title across the period of transition. Finally, in the year 2018 JCR, published in June of 2019, only Journal B will be listed – with complete citation data and metrics. All further years, of course, will show only the new title. 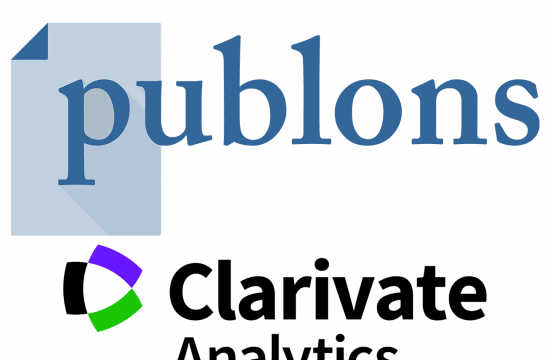 We remain committed to publishing meaningful metrics that accurately represent a journal’s usage and influence, and journal suppression was adopted as a means of maintaining the integrity of those metrics. We analyze the Science and Social Sciences editions separately for the most recent completed year of citation data, and journals showing anomalous citation practices are suppressed for that same JCR data year. Suppressed journals are eligible to be re-listed the following year provided that the citation anomalies have resolved to a level where we can again publish a meaningful Journal Impact Factor that reflects the real use of the journal among the broader scholarly community. Factors considered in the journal self-citation analysis are: total citations; JIF rank in category (by JIF); proportion of self-citations in the JIF numerator; and the effects of journal self-citation on both the JIF and rank in category. Factors considered in the journal citation stacking analysis include: total citations; JIF; donor journal’s proportion of recipient journal’s total citations and JIF numerator citations; and concentration of citations exchanged in the 2-year JIF window.